Tick Tock Dock Bluetooth alarm clock is officially announced by Edifier. The model number of the device is MF 240BT. With this device, you can have a large, bright and a round LCD for displaying time and date. Moreover, you can also have the alarm input selection. The Edifier MF 240BT features a front-firing speaker driver, omni-directional tweeters, an FM radio and a 3.5mm input jack for additional audio connectivity. 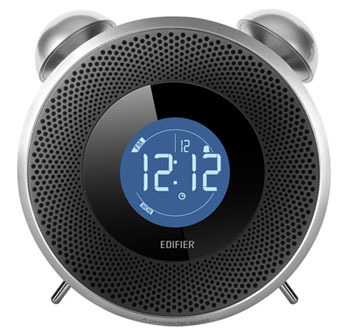 If you’ve any other Bluetooth devices, you can connect the Edifier MF 240BT Tick Tock Bluetooth alarm clock with them. The suggested price of the Edifier MF 240BT Tick Tock Bluetooth alarm clock is $79.99. It is available in black, white and beige.